Yes, obviously the alternative is death. Frank Lloyd Wright concluded, “ The longer I live the more beautiful life becomes.” That is a truly lovely sentiment. Poetic and romantic and it captures that feeling of being in love with the earth, the experience of being human and the underlying beauty and perfect order of everything. Often though, in the day to day experience of being human, we find ourselves out of that pocket of our innate, joyful, divine, trusting core state. So maybe, growing older is just that, a way to keep finding the beauty and love all around us. Energetically, as we age, we naturally shift from our primary chakras root, sacral and solar plexus to our upper chakras heart, throat, third-eye and crown. As we grow older, our energy moves upward and away from primal urges. This shift relates to Maslow’s Hierarchy of Needs motivational theory. Our initial needs for food, water, rest and warmth are sought thus, propelling one through layers of growth that culminates in Self Actualization. It is important to note that this highest level of Self Actualization includes freedom to explore and participate in creative activities. Perhaps, it is precisely just that, always moving towards saying yes to our ability to be creative? Creating and manifesting through intention and focused concentration allows us to become a co-creator in our experience. It is interesting to consider this ability resides within us. Our full potential does not lie with something else or does not live somewhere else. It is is within us, it is ours. Finding a path to reaching your full potential is a personal journey. One will find the market’s ripe with products, books, personalities and treatments to help you get there. How you get there can be greatly improved by the personal choices you make. Growing older gives us a chance to get better at being us. More wisdom, experiences, self reflection and peace naturally want to grow. Peace, contentment and personal freedom is the natural trajectory. It is said that our behaviours gather evidence for our beliefs. Releasing resistance when it creates disharmony by honoring ourselves, allows us to become a co-creator in the experience of us. We are passengers on sinking boats, so it’s natural to seek out our wings. 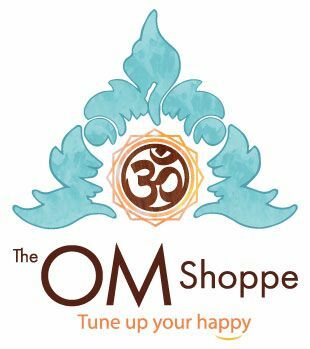 The OM Shoppe & Spa focuses on vibrational medicine tools to help those seeking enhanced personal wellness tune up their happy and reach their full potential. Clinical Hypnotherapist Debra Berje shares the following suggestions to create the aging experience you desire. These suggestions can be used as affirmations, during self hypnosis or as a meditation. Happy creating and enjoy the suggestions! This entry was posted in Anxiety & Stress, Energy Healing, Holistic Healing, Hypnosis & Mindfulness, Meditation, Skincare & Aging Beautifully, Sound Therapy & Vibrational Medicine and tagged Anxiety, growing old, Stress.